James is an Associate in our Corporate and Finance practice group in our Hong Kong office. James acts on a range of corporate, banking and finance matters including mergers and acquisitions, joint ventures, capital raisings, investment funds, secured and unsecured loans, offshore/onshore cross-border lending structures, asset and acquisition financings, take private financings, off balance sheet and other structured financing. 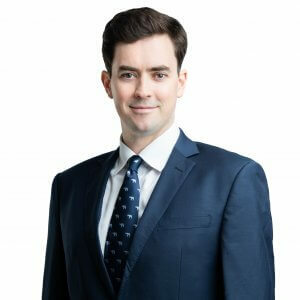 Prior to joining Campbells, James was a senior associate in the corporate team at Cooper Grace Ward in Brisbane, Australia.